Take the guesswork out of choosing the perfect gift. 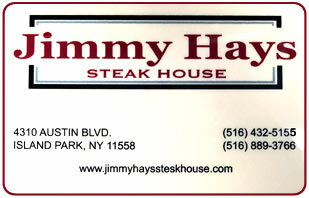 With The Jimmy Hays Gift Certificate, you can give them exactly what they want! Gift cards are available to purchase at the restaurant 4310 AUSTIN BLVD. ISLAND PARK, NY 11558.